By this point you've probably already seen a little bit about which shows each major broadcast network has picked up and when they're planning to air them. Some sites have covered them show by show, others network by network, and at least two decided to break it down night by night. We decided to go with our interest in them - what we can't wait for, what we don't think is worth the time, what falls somewhere in the middle, and even what we don't think will last. Of course, this is subject to change, especially come late July when so much more comes to light! Today we look at the ones that are on our "maybe" list - we'll probably check out the first few episodes but we're not too invested in these series at the moment. Ben & Kate (formerly known as Ben Fox is My Manny, FOX) are siblings with opposite personalities who live together to help one another out in different ways. I'm into it because I love a good sibling dynamic, but I'm iffy because we don't really need MORE shows where people struggle to care for infants. It's going to come on after Raising Hope, for crying out loud! The Goodwin Games (FOX) Three adult siblings reconnect after their father's death, hoping to inherit $20M. It is written by Bays & Thomas, of How I Met Your Mother fame, and stars Becki Newton (Ugly Betty) and Jake Lacy (Better with You). The cast could be a bonus, but I'm giving it a go for the adult sibling dynamics and the writers. It didn't make the MUST list because I don't know how the $20M is going to come into play regarding the effects on the relationships... could be too Wings. Family Tools (ABC) follows a guy with some bad luck trying to take over his father's handyman business. Look for Danielle Nicolet from 3rd Rock from the Sun, Edi Gathegi from House, and Leah Remini from King of Queens. The basic background of the show barely blips my radar, but I'm intrigued by the cast (and putting those folks together!) enough to warrant giving it a go. Mistresses (ABC) focuses on four female friends, including Savannah, played by Alyssa Milano. I almost laugh at ABC for wanting to try for such a show - what is with their insistence on female-based series? It won't come up until mid-season, so there's plenty of time for advertising (not that it really helped GCB all that much...), but Alyssa Milano should pull in some eyes (though the same was said with Kristin Chenoweth, of course). Guys with Kids (NBC) has three thirtysomething dads who don't want to let go of their carefree days. Look for Tempest Bledsoe in this one. This one is close to not making the cut for me - it sounds more like a movie than a television series. Still, it might generate some laughs for three or four episodes, before having to start recycle the jokes already. 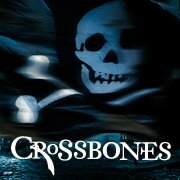 Crossbones (NBC) will be a pirate-themed action-adventure series set in 1715. Yeah... it's a bit high-concept. But it's PIRATES. And it's PERIOD. So, if nothing else, we'll get some fun costumes and colloquialisms, right? It's going to come in mid-season, so there's plenty of time for some enthralling campaign ads, but I'm already willing to tune in for some fantasy. Made in Jersey (formerly Baby Big Shot, CBS) is a legal drama where the lead uses street smarts to win cases. Being from NJ and always loving when savoir-faire comes in handy, I'll give it a go. I'm not staking too much in it (it's getting the 9pm Friday slot, don't forget), but as long as it's not too procedural, CBS may have something here.